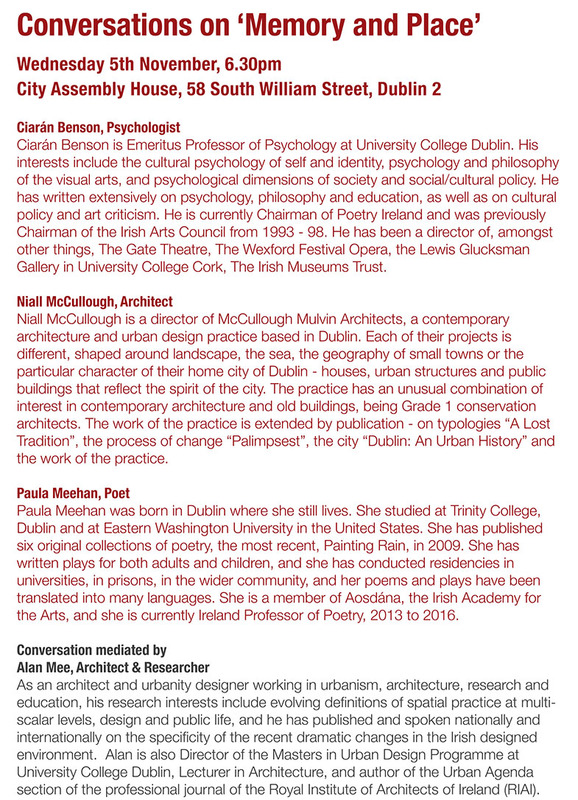 An informal evening of conversation in the exhibition space reflecting on the ‘Memory and Place’ theme. 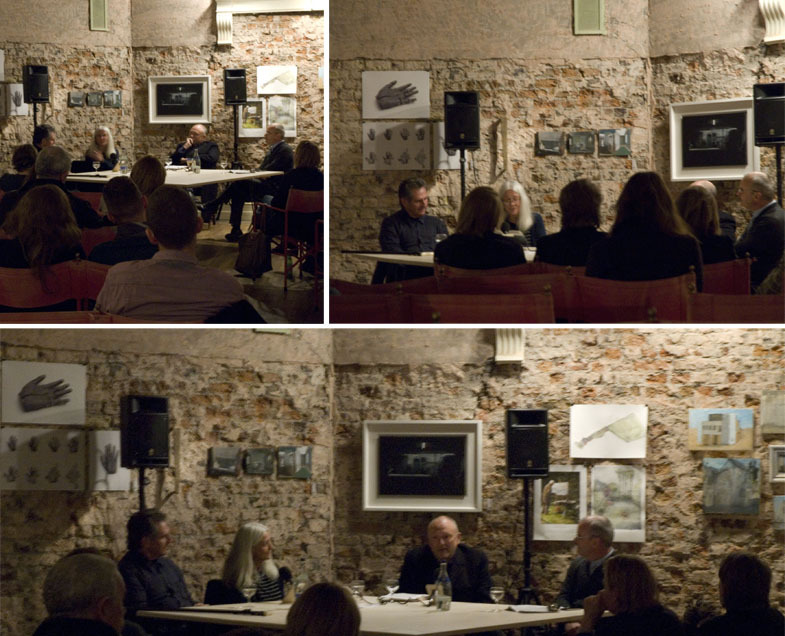 The panel included Ciarán Benson, Niall McCullough and Paula Meehan, and the conversation was mediated by Alan Mee. This discussion acts as one of the stepping off points for ‘Memory and Place’ to be explored and challenged through various strands and further events and exhibitions over the coming two years.